Anyone can have trouble with locks and keys in the office. Common issues include lockouts, damaged and faulty locksets and snapped keys. 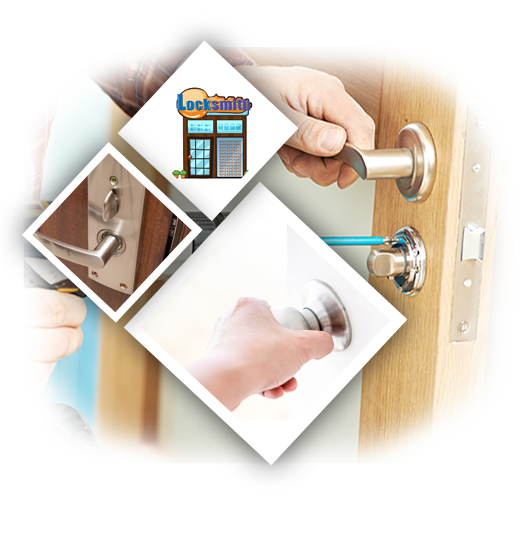 In all of these situations, our 24-hour mobile locksmith company can help. We have a full range of solutions for our business customers. Every issue is resolved on the spot no matter how complex it is. Our emergency and scheduled commercial services include everything from lockset repair to installation, rekey, and replacement. Each and every type of locking device is covered. It does not matter whether it belongs to a room door or to a file cabinet. Factors such as brand, make and year of production are completely irrelevant as well as we can cover all. You tried to unlock the door, but it wouldn't work. At one point, you pushed really hard and the blade snapped. This is how you ended up with a broken office key. This issue is more common than you think and we have the perfect solution for it. Our technician will come in quickly and extract the pieces of the blade remaining inside. The lock will be fixed if the breaking of the blade has caused any damage to it. You will receive a replacement key of the highest quality custom made by us, as we use only advanced key cutting machines and the best materials in the market. Since business people are focused entirely on their work, it is not uncommon for them to lose keys. In the case of an office lockout, let us help you right away. With our fast and safe opening techniques, you will be back inside in minutes. The service includes the rekeying of the lock to ensure that no intruder will use the missing key to get inside. You will receive a new set of keys. A lock which is rusty, difficult to turn or noisy when operated, has to be fixed right away. Use our professional lock repair service to get the fastest resolution. The device will be inspected and tested in order to find the cause of the problem. Only proven repair techniques are used for achieving the best result. Our tools are advanced and excellently maintained. You will have a superbly working lock in very little time. Count on us to fix keys and door closers in an equally effective way. When the security of a commercial building has been compromised, it can be restored fully very quickly. At the same time, managers should also look at the big picture. You have to ask yourself how effective the security of the building is and whether it requires improvement. Allow us to help you with this by running a full evaluation of door security. This will enable us to come up with precise measures for improvement. When these include new lock installation, count on us to assist you with everything you need during the entire shopping process. Once you have chosen the best locksets for you, they will be delivered and installed within the agreed deadline. Leave us a note to get more information and a quote.